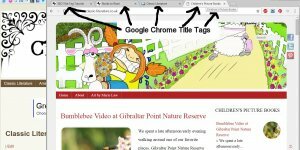 ﻿Title Tag Length, Short or Long, Which is Best? 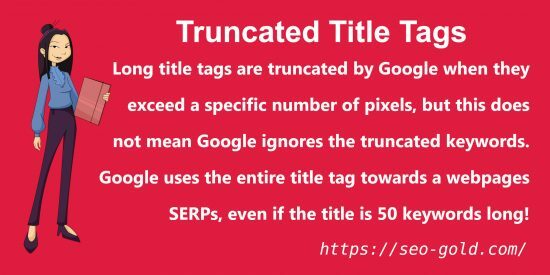 There is no one way to optimize a particular webpages title tags, this webpages title tag is relatively long in keywords (9 words), but not particularly long in terms of characters (48 characters) and covers a lot of potential SERPs. If you browse through the articles posted on this site you will find many have quite long title tags. These are the title tags from WordPress image attachment webpages related to title tags. 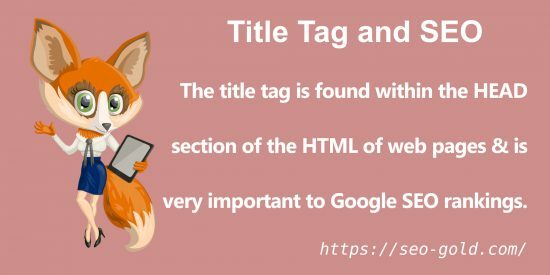 So far there are 27 images on this site related to title tags, SEO wise title tags are very important. You can see they vary in length because they are targeting either one main SERP (like the “Nofollow SEO Tutorial“) or multiple SERPs AND information added for users (like “SEO Analysis of the Amazon USA Website Title Tag”). A good example is the Teaching Coding in Primary Schools articles title tag. The title tag is targeting a single “Related to” SERP. Search for “Teaching Coding” in Google and at the bottom “Teaching Coding in Primary Schools” is one of the “Related to” suggestions. The SERPs is 5 keywords over 35 characters. 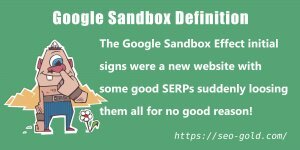 Google will show more than 50 characters, the exact number of characters shown for a Google SERP is based on the characters used, it has to ALL fit on one line. 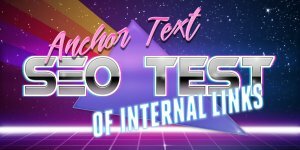 This can be anywhere from 50 fat characters to over 100 thin characters: if the characters are thin lowercase letters like iiiiii’s, more will be used by Google as the title of a SERP vs a title where the characters are fat uppercase letters like WWWWWWW’s. Yes, Google doesn’t count the characters any more: it used to. 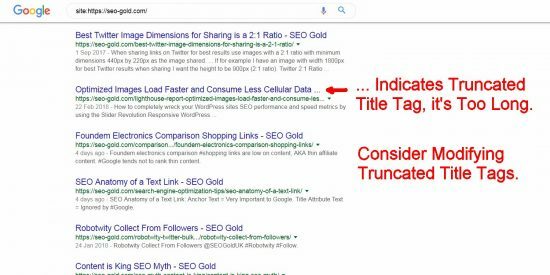 When a title tag is too long to fit on one line as shown via a Google SERP (the title will end …, see screenshot below) consider modifying the title tag, but don’t change it JUST so it fits on one line, but do make sure the title makes sense to users even when truncated. The … indicates the title has been truncated. Optimized Images Load Faster and Consume Less Cellular Data : Lighthouse Report. I see two easy ways to shorten the title tag without changing it’s meaning. Change “and” to & saves 2 characters. Remove the space before the : character. Alternatively I could drop the end part ” : Lighthouse Report” completely. 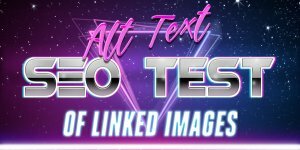 I decided to not make any of these changes because the phrase “Optimized Images Load Faster and Consume Less Cellular Data” is copied directly from a Google Lighthouse report and searches are VERY likely to search for that exact phrase: I want that exact SERP. Although I could drop the ” : Lighthouse Report” part that’s important to visitors on this site, if a visitor isn’t aware the phrase “Optimized Images Load Faster and Consume Less Cellular Data” comes directly from a Lighthouse report they won’t understand why I have an entire article about it! 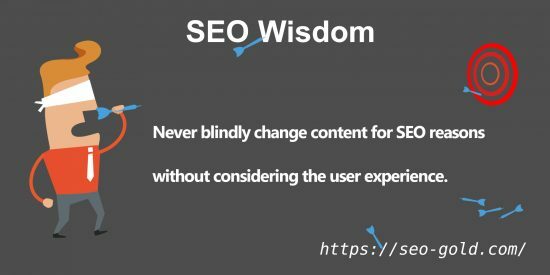 Never blindly change content for SEO reasons without considering the user experience. A good example is the Google Chrome Lighthouse Audit SEO Tool article. 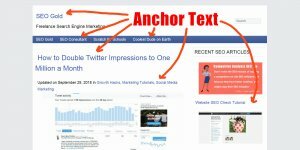 The title tag is targeting multiple Lighthouse (Lighthouse is a free SEO analysis tool provided by Google) relevant SERPs in 6 keywords and just 40 characters. As of March 24th 2018, searching Google for the entire title tag (“Google Chrome Lighthouse Audit SEO Tool”) and the Lighthouse article is ranked number 4. It’s below two of Google’s articles (they are going to be difficult to beat) and a Search Engine Land article (well known SEO brand). If I added more keywords to this title tag it will ‘water down’ the title tag SEO benefit shared between the current 6 keywords which could result in the current SERPs dropping. All the above would make valid title tags for that SEO article. Whichever keywords remained would gain more title tag SEO benefit, but the keywords removed would loose their title tag SEO benefit. With the “Lighthouse Audit” example the article would be far more likely to rank higher for that SERP, but far less likely for all the others. Search engine optimization is about balance and we all get the balance wrong over and over again. If a webpage is important consider changing the title tag (add/remove/change keywords) to test their impact: give a change at least 4 weeks before making conclusions unless it’s an absolute disastrous outcome. 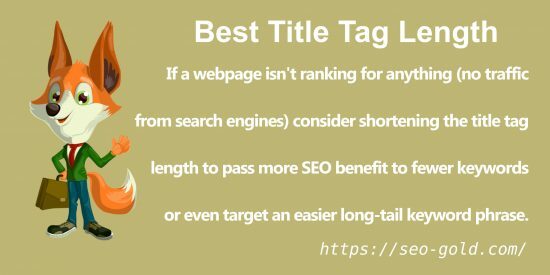 If this webpage doesn’t rank for “Title Tag Length” SERPs covered by the current title tag “Title Tag Length, Short or Long, Which is Best?” I could try changing the title tag to something like “Best Title Tag Length 2018”. This reduces the number of keywords from 9 to 5 giving those 5 keywords more title tag SEO benefit: more likely to rank. 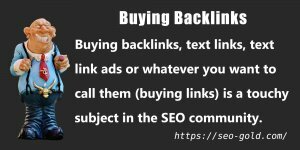 Always remember a small amount of search engine traffic from a long-tail keyphrase is better than no SEO traffic at all! 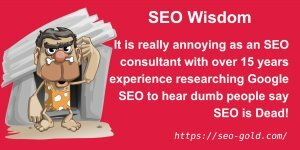 Conversely if a webpage is ranked number 1 for a main SERP targeted consider adding a derivative or harder SERP with more traffic. For example if this webpage became number 1 in Google for the “Title Tag Length” SERP easily, but was 5th for the “Title Tag” SERP, there would be an argument to try the shorter title tag “Title Tag” to see if it pushed the ranking from 5th to higher. Be careful with risking current SERPs, you could loose the current SERP. Another example if it were ranked number 1 for the “Title Tag Length” SERP, but wasn’t even top 20 for the “Title Tag” SERP, changing to the shorter title tag (without doing much else) probably won’t result in more traffic: unlikely to hit top 3 for the “Title Tag” SERP. 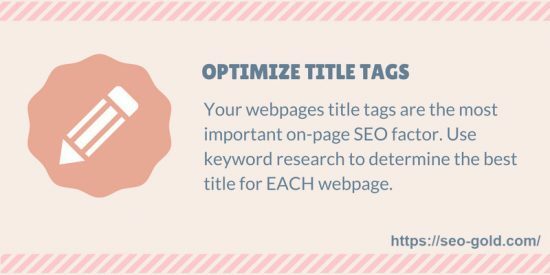 In this scenario it could be worth testing adding more keywords to the title: “Title Tag Length SEO Tutorial” or “Title Tag Length SEO Tips” to see if the webpage can maintain the “Title Tag Length” SERP AND add more secondary SERPs. Leave a reply to Title Tag Length, Short or Long, Which is Best?